This is Service Quality Institute‘s newest program and we are very excited about this product. Team building is a delicate process. Anyone can put together a group of talented people, but it takes a dedicated team leader and a devoted coach to effectively bring everyone together. 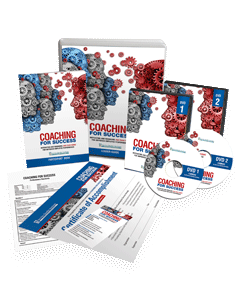 A good coach mentors team members, and puts employees in the right place to succeed. Training is especially important for new hires. Through training, professional development, and repetition, you can teach the brain to perform at the highest level, no matter what the situation. 1. Improve your daily interactions with your employees. 2. Help employees perform at a higher level. 3. Create and manage effective teams. 4. Provide skills necessary for working with poor performing and problem employees. 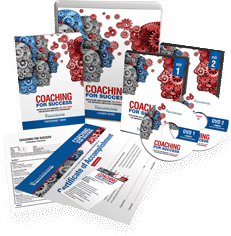 A user-friendly 140 page count page Leader Guide and a set of 2 DVDs for a leader (facilitator) to train a group of participants.